Home / asarasi water / Buffalo / Buffalo Healthy Living / CM / Health / News / USDA / BUFFALO HEALTHY LIVING: What is Asarasi water? BUFFALO, N.Y. -- Asarasi Water is pure water sourced from living maple trees, and Asarasi's Founder, Adam Lazar, is determined to help the planet, one drop at a time. A truly unique story, Adam visited a maple syrup open house for a fun activity with his daughter in the middle of a Vermont winter. As the farmer explained the production process, Adam watched him pour thousands of gallons of pure, unused water down the drain. The farmer explained that 50 gallons of maple sap are needed to produce one gallon of maple syrup. Once the sugars are removed from the saps under high pressure filtration, the sugar-free maple sap is discarded in the form of pure, plant-based waters. From there the idea of accessing pure water from previously unutilized sources was born. Asarasi has literally tapped into nature. Each year up to one billion gallons of pure, naturally filtered water is extracted from living maple trees, and Asarasi has found a way to store, bottle, and deliver the water directly to us. With water resources dwindling, there is a need for alternative sources of drinking water that don't deplete current resources or alter peoples' lifestyles. Remarkably, Asarasi meets this need at a price that is competitive with other water products. In doing so, they have created the world's only sustainable and renewable USDA certified organic sparkling drinking water that is zero calorie, zero sugar, and zero sodium, and bottled in 100 percent recyclable glass. The water is available in three different flavors, and at various locations throughout the country, including many area supermarkets and restaurants. 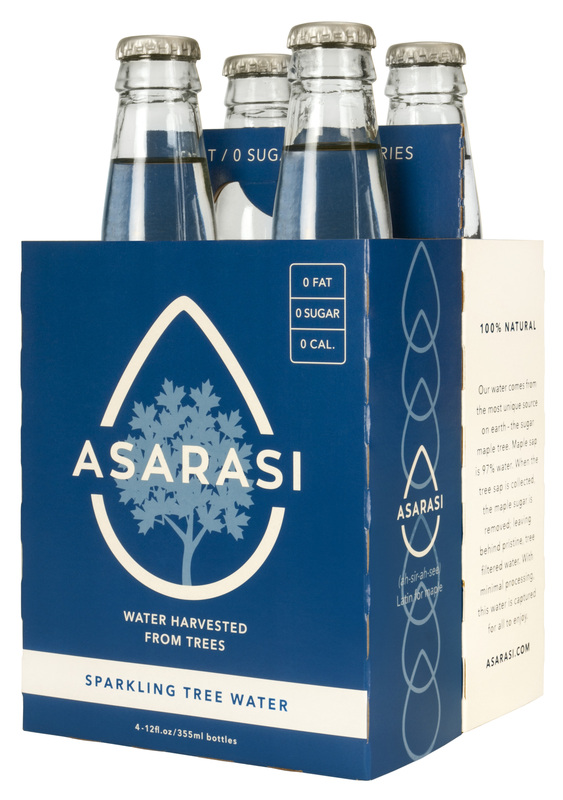 Learn where you can purchase Asarasi water and other products, including pure maple syrup at www.asarasi.com.